We are excited to announce the upcoming CU Expo 2011 taking place in Waterloo this May, which will focus on Community-University Partnerships: Bringing global perspectives to local action. ResearchImpact will be leading a session on tools for knowledge mobilization on Friday, May 13th- hope to see you there! Nous avons le plaisir de vous annoncer la tenue prochaine de la conférence CU Expo 2011. Cet événement aura lieu en mai, à Waterloo, et portera principalement sur les partenariats milieu-université, des perspectives globales à l’action locale. Le Réseau Impact Recherche organisera à cette occasion un atelier sur les outils de mobilisation des connaissances le vendredi 13 mai. Au plaisir de vous y voir! CU Expo 2011 is a Canadian-led conference designed to showcase the exemplars in Community-University partnerships worldwide, and together to introduce creative ways of strengthening our local communities. The conference is expected to draw over 800 people from Canada and around the world who are passionate about the power of community-university partnerships as a vehicle for social change. Students, community leaders, researchers, educators, funders, policy makers and others invested in community-building will be in attendance. The CU Expo movement began in Canada as a response to individuals involved community-university partnerships needing a forum to share experiences, strategies and ideas. CU Expo 2011 will address the conference objectives, themes and streams through a variety of session offerings and opportunities for dialogue. CU Expo 2011 will be held at Wilfrid Laurier University and throughout the Waterloo Region community from May 10 to 14, 2011. Check out the programming schedule here. Click here to register. As we explore what makes us the same and what makes us different, we see that community based research (CBR) is an important element of knowledge mobilization (KMb) service but that KMb service has elements that are outside the scope of CBR. 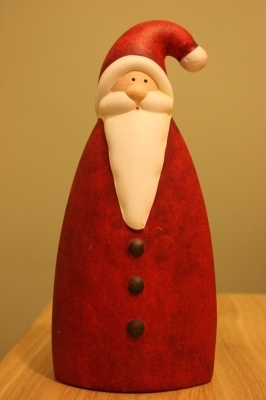 At this festive time of the year, thoughts often turn to friends and family (and sometimes they are both!). We have written many blogs comparing and contrasting KMb with the other ubiquitous research engagement strategy, technology transfer (click on the technology transfer tag in the tag cloud on the right for past blogs), but what about community based research (CBR)? There is much grass roots and institutional energy for community based research in Canada. Local community based research enterprises such as The Wellesley Institute (@wellesleyWI) in Toronto, the Centre for Community Based Research in Waterloo, our close friends at the UVic Office of Community Based Research, and U of Guelph’s Institute for Community Engaged Research support collaborations between faculty and community partners. There are also NGOs supporting CBR such as Community Campus Partnerships for Health (CCPH) and national initiatives like the Knowledge Commons. But are these wonderful organizations and initiatives also supporting KMb while they support CBR? CBR often works on the big, persistent, “wicked” problems such as HIV/AIDS, Aboriginal concerns, poverty, health disparities and climate change as examples (wicked problems are discussed by John Camillus in Harvard Business Review, 2008, pg. 99). KMb is content agnostic. KMb seeks to broker relationships between researchers and non-academic research partners regardless of the topic or discipline. CBR fosters relationships between community and university. KMb embraces research collaborations with community agencies but also works with governments, NGOs and the private sector. 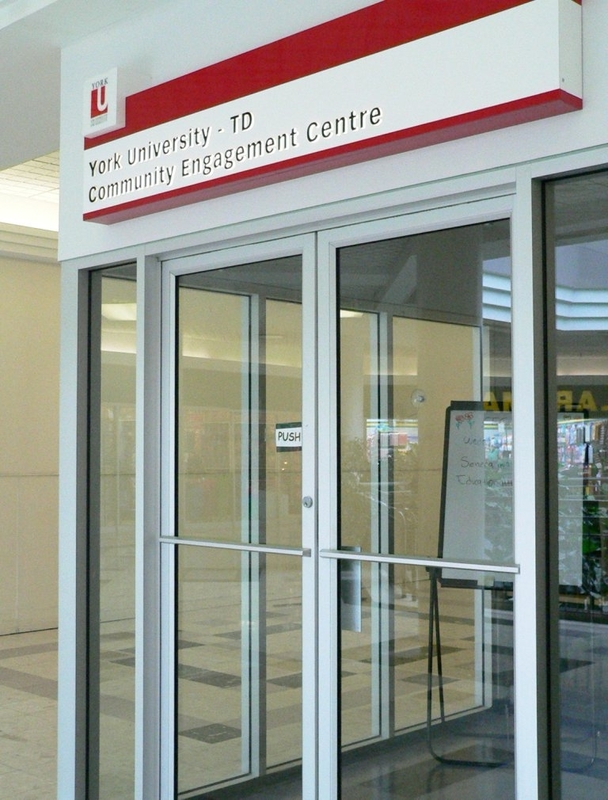 About 30% of the service York’s KMb Unit provides to non-academic agencies is provided to municipal and provincial government agencies. In CBR, the community identifies the research question. About 30% of York’s KMb service is from university faculty seeking a community or other partner for their faculty-driven research agenda. CBR is always a co-creation method while KMb also embraces methods of producer push such as the ResearchImpact ResearchSnapshot research summaries. KMb is supported by university staff while university faculty undertake CBR. In the words of David Yetman (@mobilizemybrain), “KMb is like the Ed Sullivan show. We set the stage but we have none of the talent”. In this analogy CBR would be some of the talent and knowledge brokers are happy to support this important work. In a conversation with Sarah Flicker, one of York U’s leading community based researchers, I made this proposition: “All CBR is KMb but not all KMb is CBR”. She pondered and she agreed. That led us to develop the model shown below where CBR is an important element of KMb service but that KMb service has elements that are outside the scope of CBR. By way of illustrating the difference, York’s KMb Unit recently brokered an introduction from a multinational IT company to a researcher from York’s Schulich School of Business. They are now exploring a collaboration in business processes that support IT resilience. Very KMb. Not very CBR. Knowledge brokers love our CBR siblings. We are siblings. We are not twins. We are different but enjoy the time we get to play together and we wish all of our CBR cousins, friends and siblings and enjoyable holiday season. What Happened: UQAM hosted over 100 academics, students, community leaders and funders for a one-day conversation “to explore the role of knowledge in society”. This structured conversation is intended to support the development of a Knowledge Commons for Canada. Why is this Important: The energy in the room was very positive and clearly people in the room felt very passionate about this initiative. Dr. Chad Gaffield, SSHRC President, who facilitated the morning plenary session shared, “we have not articulated the paradigm shift at Canadian universities across Canada” and this was significant as I felt a lack of a clear mission statement could be keeping this conversation at a level that lacks an action agenda. That said there were many highlights shared from the morning speakers and afternoon breakout sessions which the leadership can build on to strengthen the foundation of this initiative. It is a very important conversation, because as promoted, “there is a growing recognition that knowledge is not a monopoly of academics”. Check www.knowledgecommons.ning.com for more information. A Keynote Listener- this is one of the most innovative ideas I have seen in some time! On August 28, I had the chance to present on behalf of ResearchImpact at the poster session of the 4th Living Knowledge Conference held at Queen’s University in Belfast. The conference brought together academics, funders, staff and students engaged in community based research, knowledge mobilization and Science Shops from 17 countries. Our poster addressed the one of the conference’s main themes of student engagement and looked at Graduate Student Engagement within ResearchImpact- Canada’s Knowledge Mobilization Network, including in the KM Summer Internship program at YorkU and the Interdisciplinary Graduate Courses held at UVic. It was great to meet with faculty, staff and students from across the world doing similar work and to hear about their successes and challenges. Highlights for me were learning about student engagement in the newly created Science Shop called WUZULU, Intuthuko at the University of Zululand in partnership with Wageningen University in the Netherlands. Challenges at UniZulu include large class sizes, were many classes commonly have 800 students in them, the fact that most students also work as well as go to school in order to pay for their education, and the devastating effect of HIV/AIDS on the community. Another interesting project was the climate change work going on at The Science Shop at the Technical University of Denmark, which recently worked on a project to address the CO2 impact of foods on the climate. In partnership with a local municipal government, this project resulted in a visual aid similar to the well know food pyramid to show municipal canteen staff which foods contribute to greater CO2 emissions in order to help them chose foods having a lower climate change impact. Last month in Ottawa Community Based Research Canada (CBRC) held a working Symposium “From Recession to Renewal: The Vital Contribution of Community Based Research”. This event was co-hosted by the Faculty of Public Affairs at Carleton University, and saw a number of speaking panels comprised of both academic and community leaders. 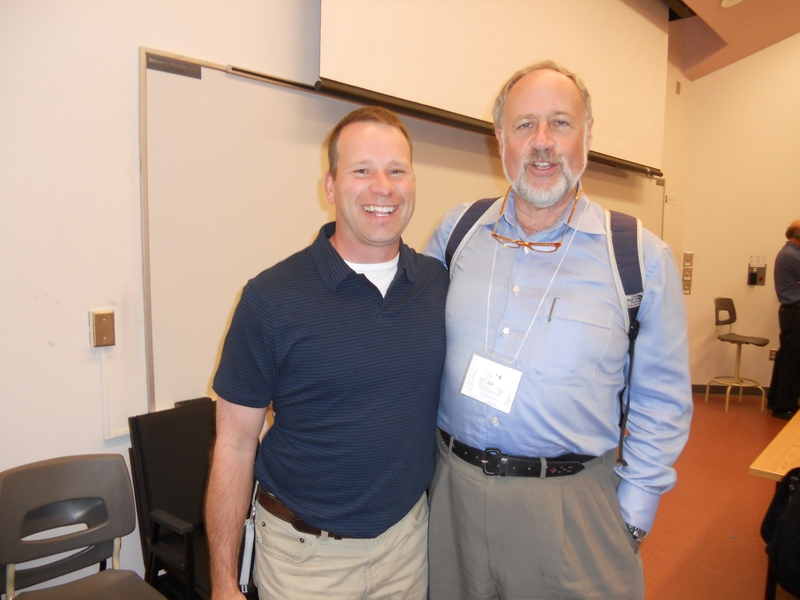 A paper titled “Funding and Development of Community University Research Partnerships” was presented by Rupert Downing and Budd Hall, and opportunities for networking and discussion occurred throughout the day. 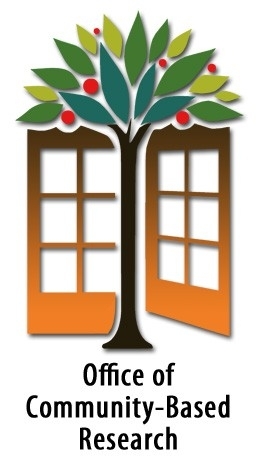 CBRC is a network of people and organizations engaged in Community-Based Research to meet the needs of people and communities. CBRC came into being through the Community University Expo Conference held in Victoria, BC in May of 2008. Since that time many more universities and organizations have joined . The Universities of Carleton (Dean Katherine Graham), Quebec at Montreal (Dr. Jean-Marc Fontan) and Victoria (Dr. Budd Hall), have stepped up to take on the roles of Chair, Vice-Chair and Secretary, with Tim Simboli of the Ottawa Community Based Research Network and Ottawa Family Services as a community representative on the Executive Committee. There is also a Steering Committee of community organization and university representatives. A website and newsletter is about to be launched, and resources are being developed from a variety of sources. An Action Plan has been developed that focuses on: Building community-based research (CBR) capacity; mobilizing knowledge on CBR practices and outcomes; influencing policy and institutional environments to strengthen support to CBR, and; providing networking and learning opportunities. Rupert Downing, the former Executive Director of the Canadian Community Economic Development Network and Co-Director of the Canadian Social Economy Research Hub, is assisting with the formative work to establish CBRC. The UVic Knowledge Mobilization Unit and Office of Community-Based Research have been working closely together under the institutional banner of “Civic Engagement” for a year. It is quickly becoming apparent that the goals of both of these initiatives would be realized more efficiently and thoroughly if there was an official amalgamation. The upcoming merger of the Knowledge Mobilization Unit and the Office of Community Based Research will create greater capacity for impact on all levels. 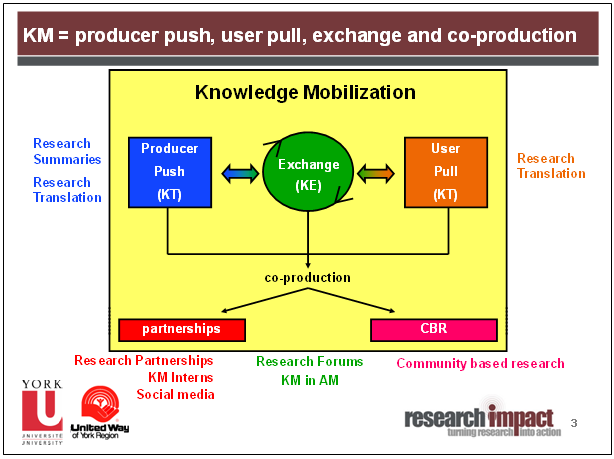 The coming together of Knowledge Mobilization and Community-Based Research functions at UVic will allow the knowledge brokers to pool resources, exchange expertise, and expand networks, leading to greater capacity to support various research collaborations with community organizations and policy makers. This merger will create one cohesive, organized, and productive office with a civic engagement mandate relating to positive social change.